Here's a drawing on a map of the the Arctic regions. 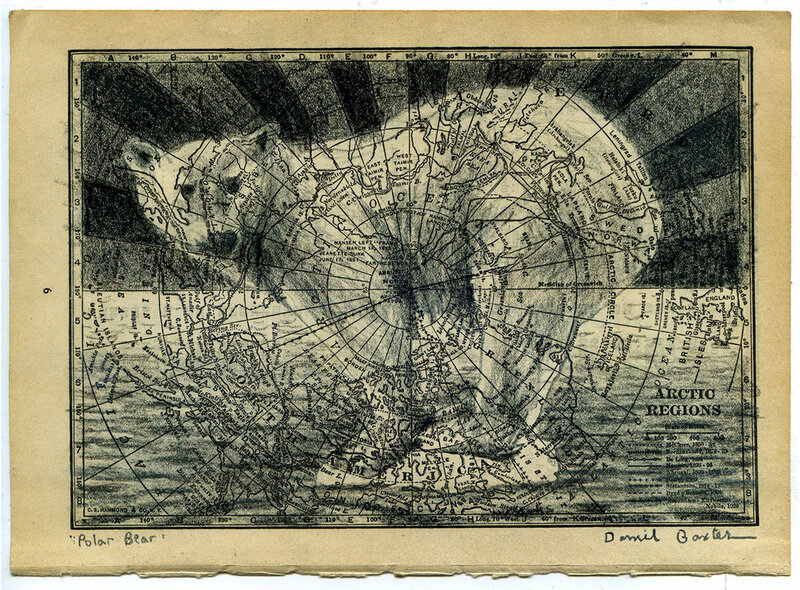 This is part of a series called World Tour - in which all the pieces are drawn on vintage maps. I was studying this map, and it seemed to be telling me to draw a polar bear on it. So I did! Signed prints are available here!